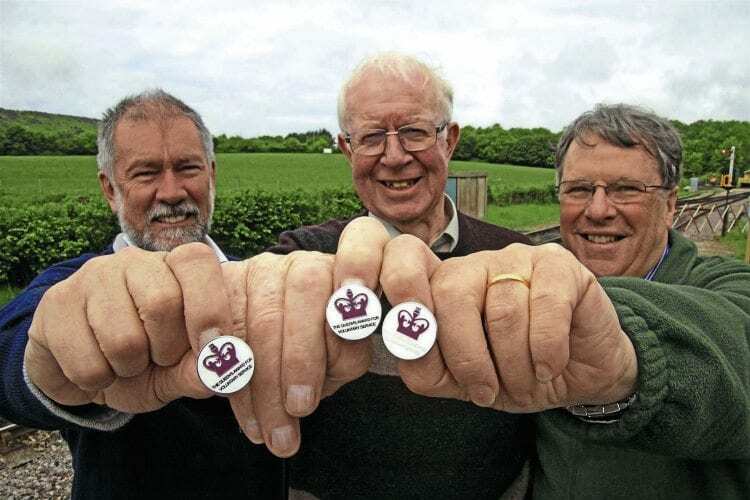 FIVE heritage railways and a unique museum have been awarded the coveted Queen’s Award for Voluntary Service. The awards, which recognise excellence in voluntary activities by community groups – and are considered their equivalent of an MBE, the Queen’s Award for Export Achievement or the Queen’s Award for Technology – were announced by Buckingham Palace on June 2, the anniversary of her accession to the throne. The award was founded in 2002 in celebration of the Queen’s Golden Jubilee. The Swanage, Leighton Buzzard, South Tynedale and Hampton & Kempton Waterworks railways and Didcot Railway Centre, along with the Headhunters Railway Museum in Enniskillen have each won the ultimate accolade. The award for the Purbeck line came less than a fortnight before it began running its ground-breaking ‘real’ community services from Swanage to Wareham on June 13 – marking a seminal moment in the 45-year campaign to reopen the entire LSWR branch, as reported in our special feature on pages 50-53. Two generations of Swanage Railway volunteers have worked tirelessly to rebuild the branch line from Swanage to Corfe Castle and onwards to near Furzebrook after it was controversially closed by British Rail in January 1972. That summer, seven miles of track was torn up in just seven short weeks with two generations of determined Swanage Railway volunteers taking 25 long years to relay it.